— Benjamin Netanyahu (@netanyahu) 22 мая 2018 г. ​The passionate delivery resonated with commentators on Twitter, who responded symmetrically. 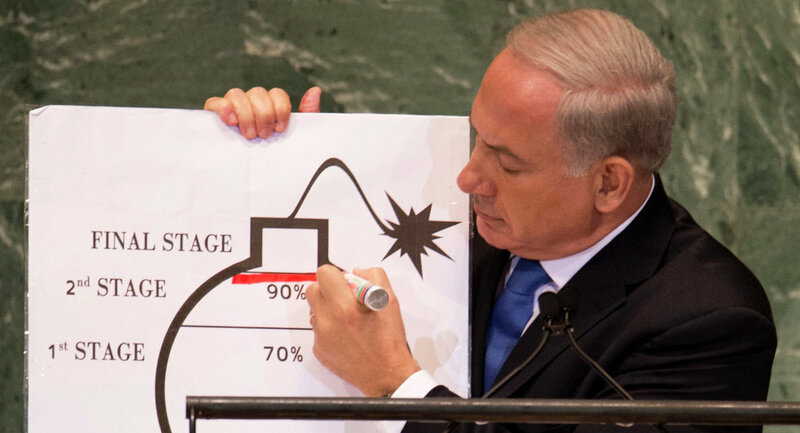 Even the supporters echoed Netanyahu’s triple verbal attack on Iran. — Israh Rozenn (@rosennisrah) 22 мая 2018 г. — گاگولِ یاغی (@GagoolYaghi) 22 мая 2018 г. — FriarFire (@FriarFire) 22 мая 2018 г. — Richard (@VbN_) 22 мая 2018 г. — New Yorker (@newyorker2833) 22 мая 2018 г. — anthony (@anthonybigb) 22 мая 2018 г. ​Others stuck to more classical anti-Netanyahu sentiments. — ✖RicoHands (@rico_hands) 22 мая 2018 г. The American position prevents Iran from having nuclear weapons and breaks the cash machine that Iran was using to fund its conquest of the Middle East. Thank you, America. This is the right policy. The US policy is correct. Iran is spreading aggressively throughout the Middle East. It aspires to achieve nuclear weapons by various means, which we exposed. President Trump's policy is correct: Zero enrichment, which is unnecessary, and Iran needs to leave Syria. If Iran wanted to seek peaceful nuclear energy, Iran would need not a single centrifuge. Iran doesn’t need centrifuges for enrichment. If Iran wanted to pursue a peaceful nuclear program, Iran would not hide its secret archives for making nuclear weapons. ​Israel was one of the key supporters of Washington’s recent decision to re-impose sanctions on Iran, as President Donald Trump announced the US withdrawal from the Iran nuclear deal, in a move that sparked a cold snap in Washington's ties with its European allies and co-signatories to the deal, including the European Union, Germany, France, the United Kingdom, Iran, Russia, and China. In his speech "After the Deal: A New Iran Strategy" at the Heritage Foundation in Washington, Secretary of State Mike Pompeo pledged that the US would apply unprecedented financial pressure on Tehran via sanctions. The Islamic Republic has slammed the address, with Iranian President Hassan Rouhani saying that the world cannot accept that Washington makes unilateral decisions for all nations. Iran has repeatedly dismissed the allegations that it continues working on its nuclear program secretly.